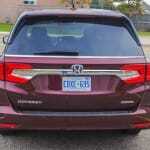 Honda has focused on all the right points, making it more practical and easier to use for the family. 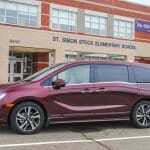 Minivans have had a bit of a tough go recently, but the odds may start to swing in their favor once again. 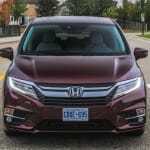 The desire for more space and greater fuel economy has choked a lot of the life out of the mainstream crossover and SUV markets. 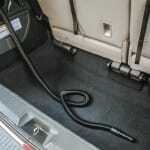 A seven-seat CUV with a sub-200 horsepower four-cylinder? No thanks. 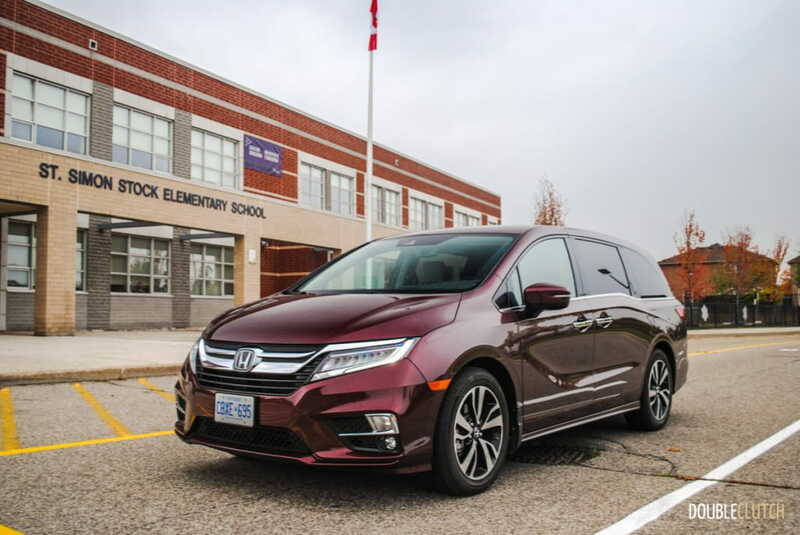 If you need the space, and don’t want to spend a small fortune on a high-end full sized SUV, the minivan is once again a good option. Most minivans still come with a powerful V6, space-efficient front-wheel drive and good road manners. 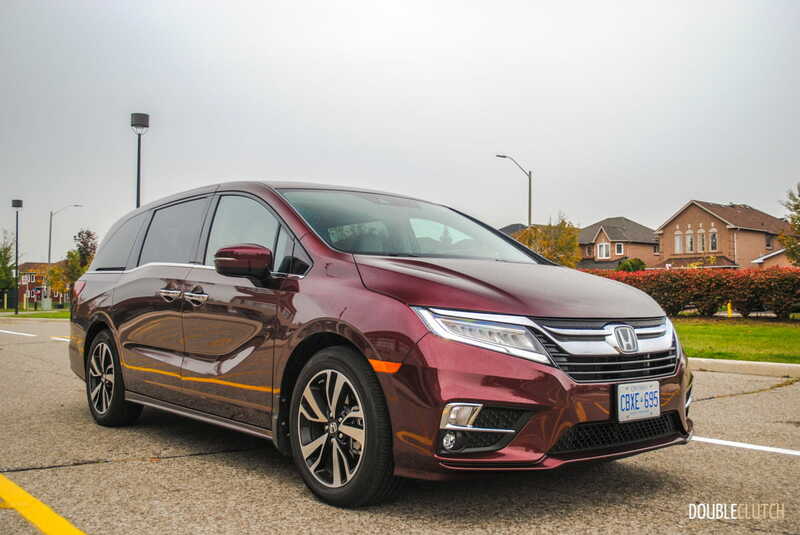 While there are vans out there designed strictly for a no-frills people hauling experience, if you’re after refinement, the Honda Odyssey usually pops right to the top of the list. New this year, the 2018 Honda Odyssey Touring has received a complete redesign directly targeting the premium minivan market. 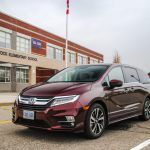 Now in its fifth generation, The Odyssey’s new body is not only stiffer than the outgoing model, it is also sleeker with a lot of the sharp angles toned down a bit for a more agreeable look. As styled as it may be, there’s no getting past the fact the a minivan is going to be a very large box. The designers at Honda have done an amicable job making this box look pretty nice. 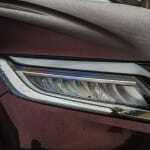 All but the most basic LX model get LED running lamps up front, and the top-trim Touring gets powerful LED headlamps to boot. 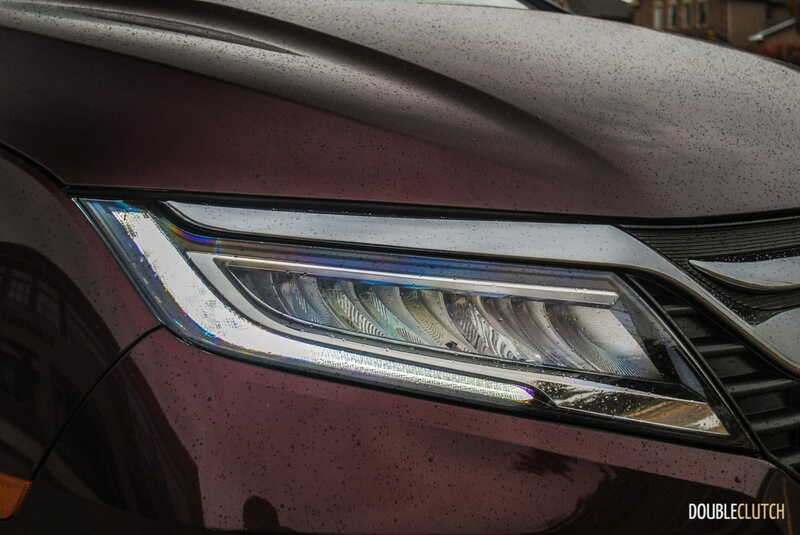 All trims get the new LED taillights, and an all new selection of stylish alloy wheels, most in the now-popular Honda two-toned gloss black and polished aluminium finish. Of course, the Touring trim like our tester, gets the larger 19” wheels, while lesser examples get various 17” and 18” options. 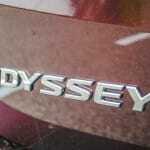 Let’s face it though, most buyers won’t care how the Odyssey looks on the outside. 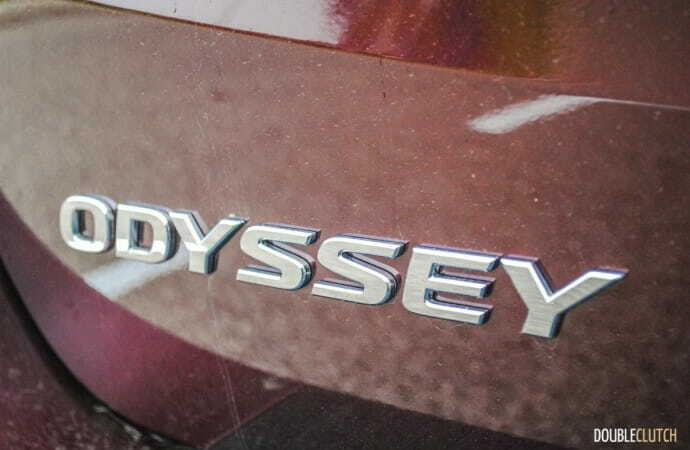 It’s all about the interior space, and fortunately that’s an area where the new Odyssey really delivers. Firstly, the Odyssey is available in six different trim levels, each of them upping the luxury and features list just a bit so buyers can find the right balance between their pocket book and amenities on board. The most basic van starts at $34,890, and trickles up to the Touring trim here, which rings in at a hefty $52,187. 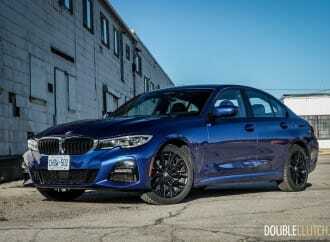 The Touring is about as luxurious as a minivan is going to get, but a very well equipped lesser trim, like an EX or EX-L can be had for mid-$40,000 range, and that’s like where a lot of buyers will end up. As mentioned, the interior space has been a big focus for Honda and that’s pretty obvious throughout the cabin. 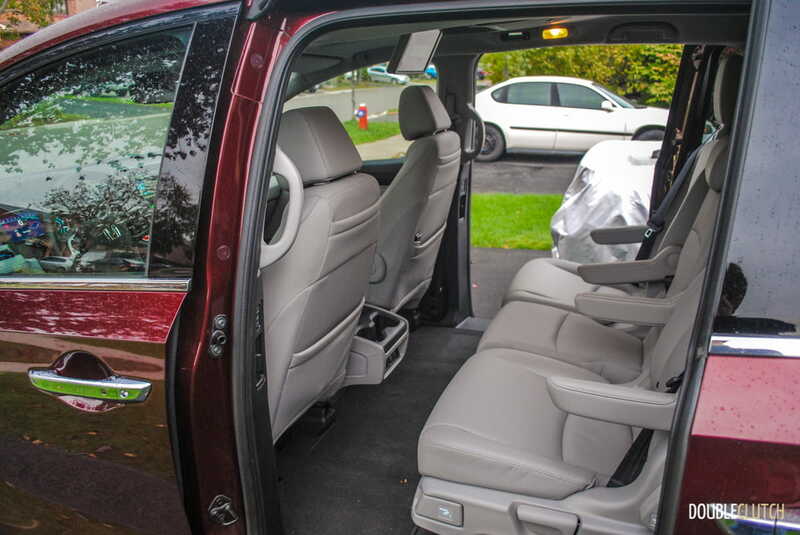 Up front, the heated and ventilated (on the Touring trim) leather captain’s chairs are extremely comfortable, as is the nice leather-wrapped and heated steering wheel. There’s loads of handy storage everywhere in the van, including up front, with dual tiered door pockets and a huge console with wireless phone charging. 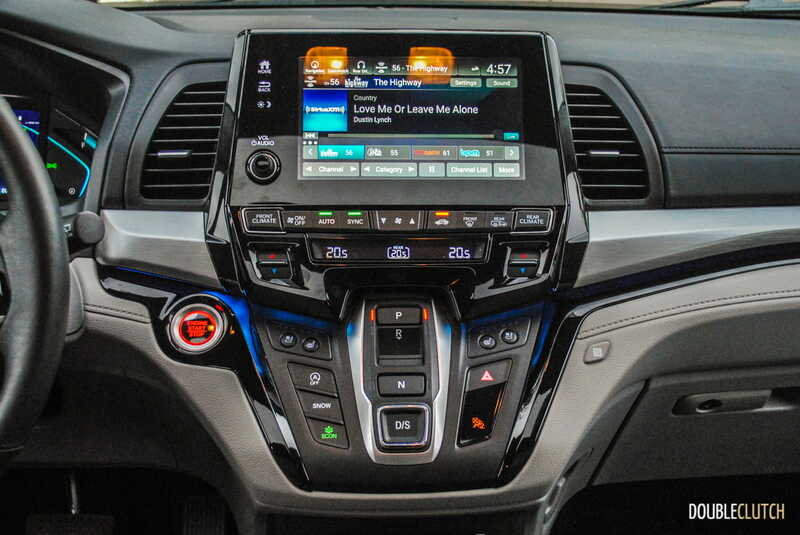 The dashboard layout is clean and the majority of the materials used up front are soft-touch or simulated leather. 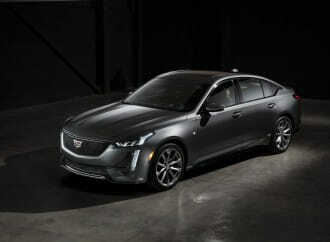 In the Touring, all the premium features you would expect are here; tri-zone climate control, adaptive cruise control, memory seats, and power moonroof. Honda has thoroughly re-vamped their infotainment system as well and it is miles better than the outgoing version. It now has a separate volume control knob, and response, look, and layout are all dramatically improved. Moving towards the back, the second row seats offer tons of comfort, as expected with a removable centre section. With that section removed the outboard captain’s chairs can slide laterally, allowing for easier access to the third row – perfect if you’re seating teens or adults. 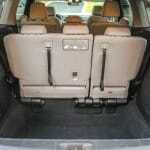 Once back there, third row occupants will also find themselves plenty comfortable. 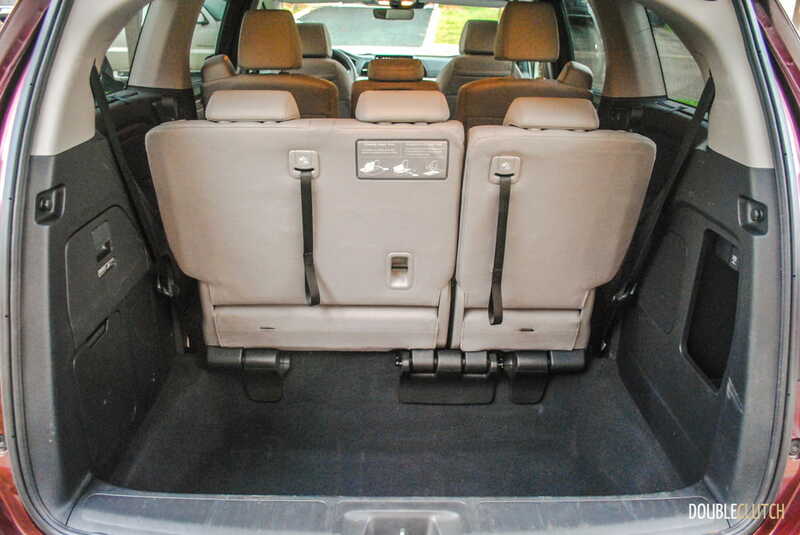 You’ll even find room for a stroller, groceries, or hockey bag in the cargo area behind the third row. If that’s not enough the third row, does flip back and fold flat with the pull of a cord to open up a larger flat loading floor. 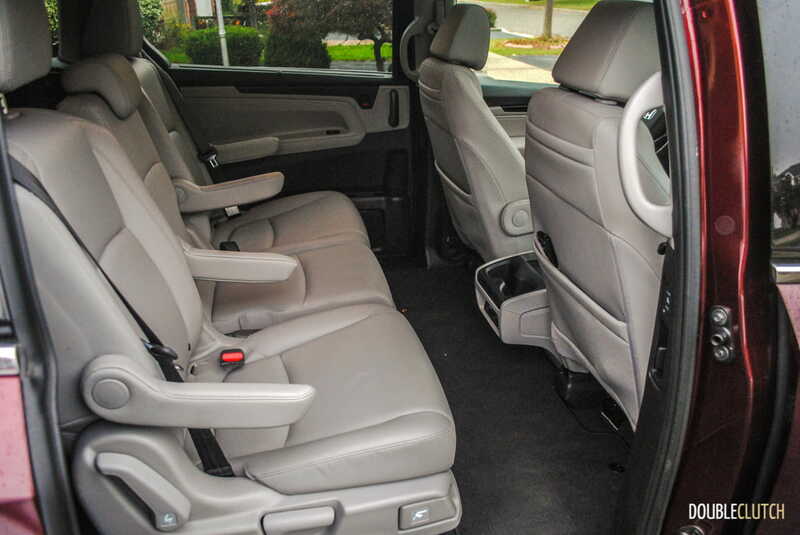 Unfortunately though, Chrysler’s patent on the folding second row means that if you want the second row out of the way you’ll have to physically remove the seats from the van, which is a bit of a chore and requires some pre-planning. 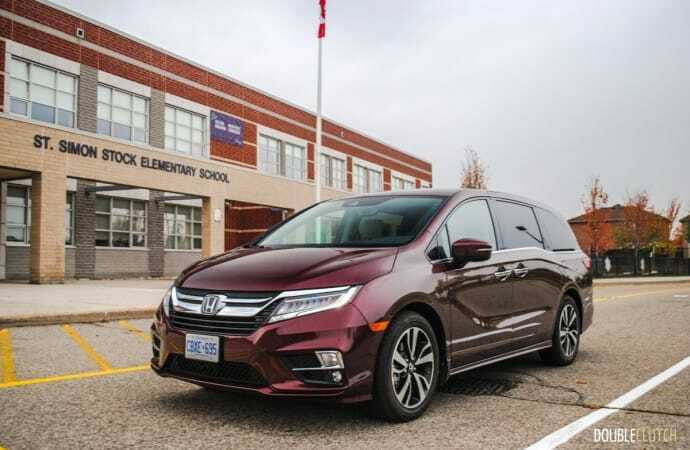 Hauling kids is what these vans do best, and the Odyssey has a number of little features that make the chore all the more enjoyable. There’s a CabinWatch camera which can display a live image of the second and third rows on the screen up front so you can keep a close watch on the little ones. There’s also CabinTalk, which allows you to speak to the second and third rows through the van’s speakers for when you want your message heard. Of course, there’s a rear entertainment system, and even an interesting app called “Are We There Yet”, which displays on the rear screen the distance and time to destination. 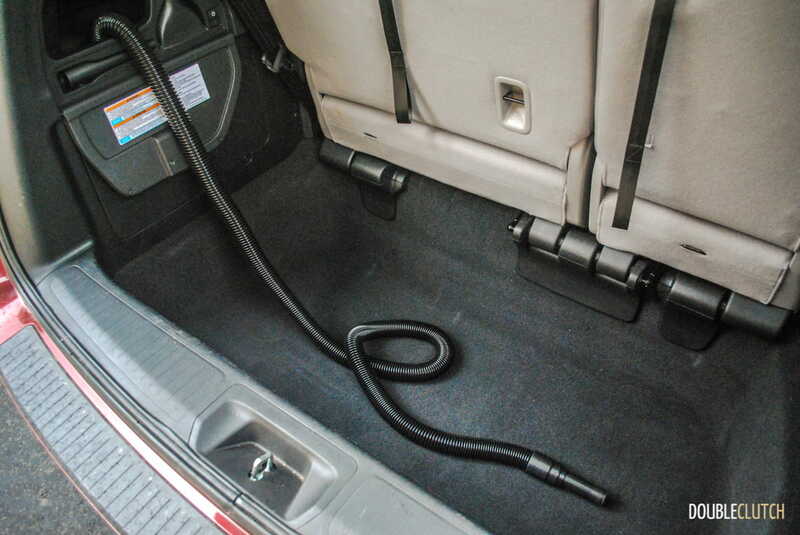 The Odyssey also boasts its own WiFi hotspot, and a convenient vacuum built into the trunk for quick clean-ups. For the driver though, the most important news on the new Odyssey might be that the folks at Honda have stiffened up the chassis, and re-worked the electric steering and suspension to make the Odyssey handle significantly better. The Odyssey remains more composed than any other minivan through the corners, and highway cruising is comfortable and confident. Now, it’s still a minivan so the steering feel is fairly weak, and when pushed, its immense weight becomes pretty obvious. Regardless, it rides great, even on the roughest city streets, the cabin is library-levels of quiet and it’ll easily handle anything you might throw at it during normal daily driving. 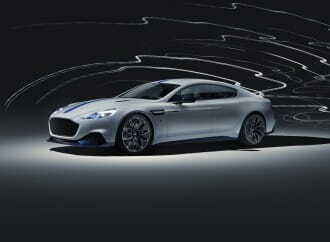 The 3.5L V6 gets a big 30 horsepower boost up to 280 horsepower and 262 lb-ft. of torque at 4,700RPM. 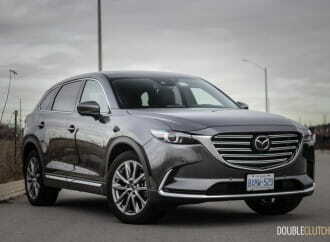 It’s not what you’d call fast by any means, but the buttery smooth power delivery and sharp response from the natural aspirated V6 is what a lot of the latest crop of CUVs are missing. 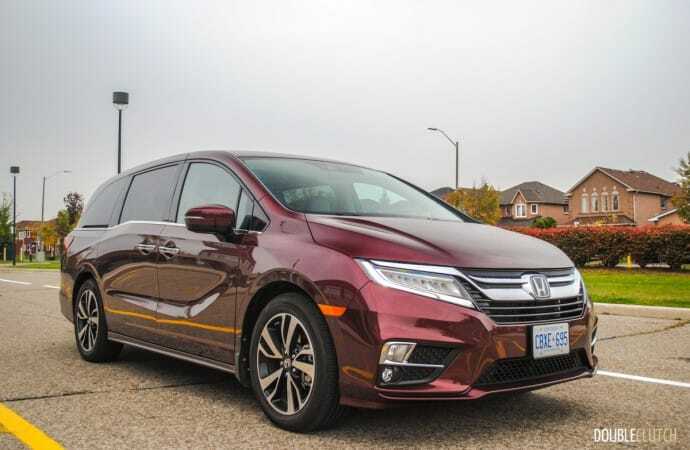 The smooth V6 power, combined with the composed handled, soft ride and quiet cabin give the Odyssey a very refined and relaxing driving experience; something that I personally really appreciate. 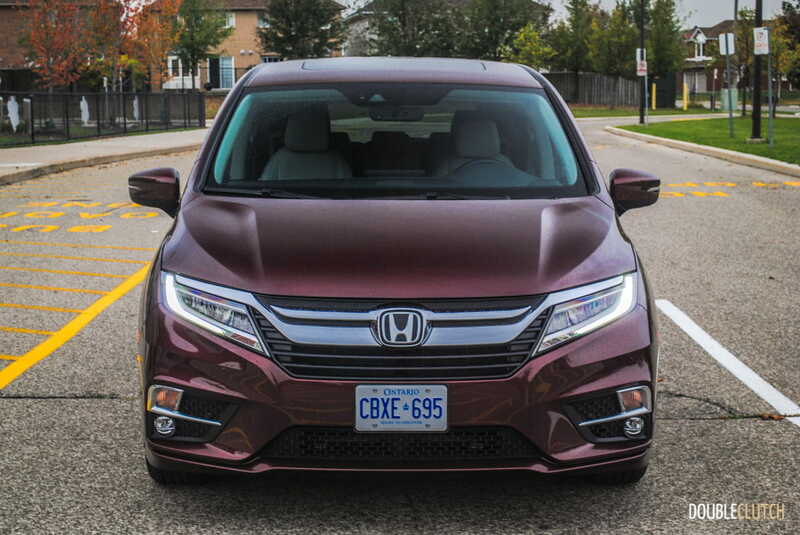 The cushy V6 does come with a small fuel consumption premium, but with an average for the week of 11.5L/100km, it’s right in line with the rest of the minivan crop. 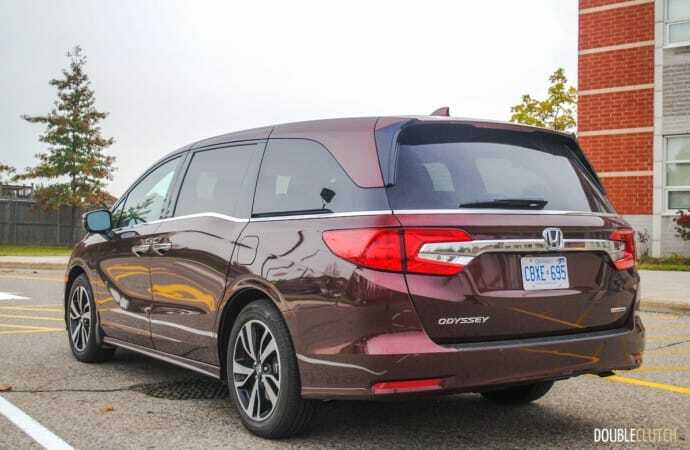 Interestingly, the top-trim Touring gets the 10-speed automatic transmission with paddle shifters, whereas the rest of the Odyssey trim levels all get a nine-speed. 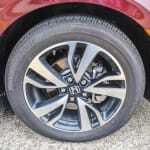 The 10-speed responds well and shifts smoothly, and Honda suggests that the new transmission works to keep fuel consumption in line with the outgoing version of the 3.5L. 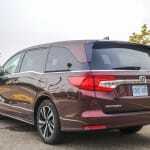 Depending on your attitude towards fuel economy, and new Honda automatics, that fact alone may be enough to make or break the decision to choose the Touring trim or not. 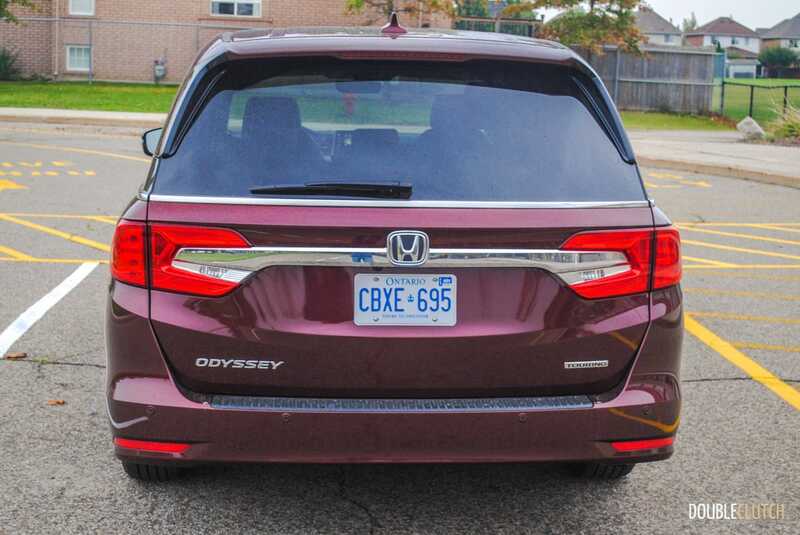 This is where I would like to say the Odyssey is backed up by legendary Honda reliability, but in this case I am not so sure as at around 7,500kms our test van did have a few glitches. Firstly, the radio would automatically tune to XM 88 NFL Radio every half dozen start-ups or so. The fuel door cover latch was finicky, but the worst was a rubber stopper on one of the sliding doors that fell off and jammed itself in the track. It prevented the power door from closing and unless you had the sense to check for hidden obstructions, you would’ve been stuck with a door that wouldn’t shut. Just minor issues that hopefully Honda will have sorted out quickly, but worth being on the lookout for. 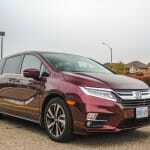 Regardless of trim level, the 2018 Honda Odyssey is one of, if not the most refined and well thought out minivan in the segment. 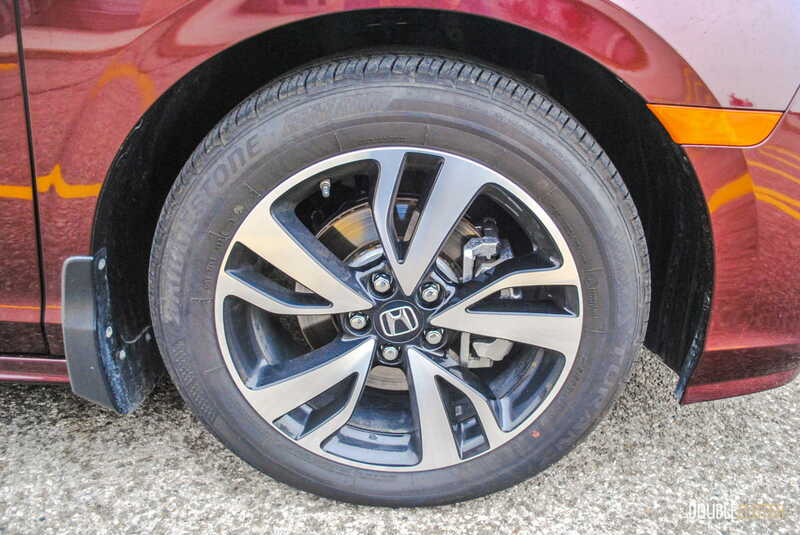 Honda has focused on all the right points, making it more practical and easier to use for the family, while improving the driving experience. Well done. 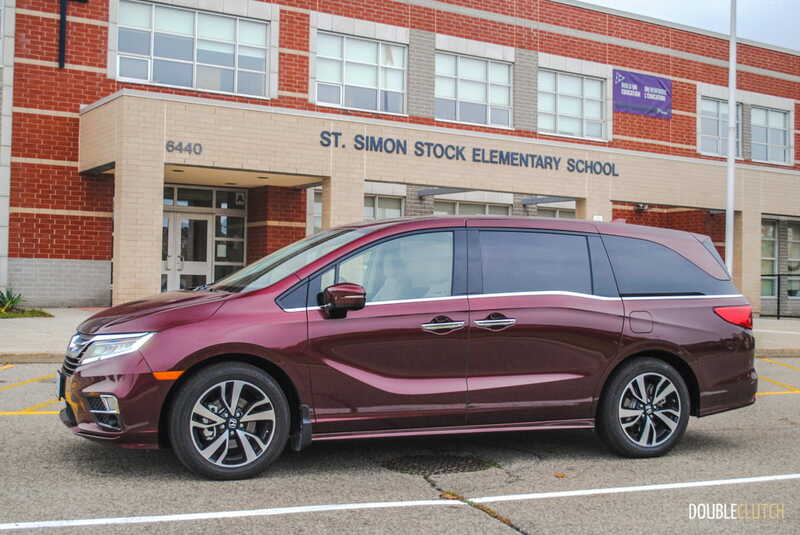 If you’re ready to get off of the crossover train and looking for a truly practical family space, and a well-mannered smooth drive, don’t forget about the merits of the minivan.